Graduating from Tehran University of Medical Sciences, Dr Hamidreza Mofrad earned his degree in medicine in 1999. On the track of his education, he earned his general surgery degree from the same university in 2006. Soon after, he went on to obtain his residency in plastic surgery from Shahid Beheshti University of Medical Sciences (2010). 3rd among students of board of Plastic Surgery of the country in 2010. 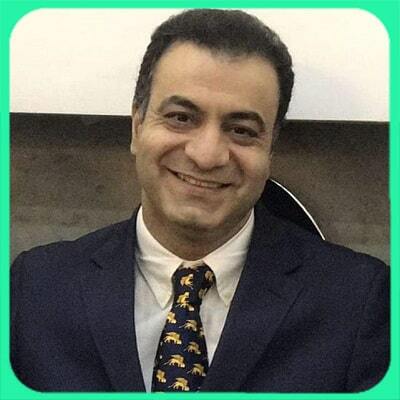 Dr Hamidreza Mofrad is working as a highly professional plastic surgeon and member of Iranian Association of Cosmetic and Plastic Surgeons. He performs rhinoplasty, mammoplasty, cosmetic surgery and facial rejuvenation (lift), face lift, chin surgery (genioplasty), cheek augmentation surgery, abdominoplasty, ear surgery or otoplasty, eyelid surgery, botox injection and gel, fat injection, placement cheek, dermal filler, cosmetic breast surgery (breast augmentation and breast reduction), belly and breast prosthesis insertion, liposuction and lipomatic.